This is a thread I will start for peeps to list their experiences playing this class and variations as a single-class and not multi in the current game and should provide a resource of information on it as well as build ideas in the current game and future patches. Quick background: I have decided to play through and with this class on PotD as it was my main in PoE1 and after trying out some multi-class variations of it in the end decided that giving up Time-Parasite and Defensive Mindweb was not worth it for the multiclass. It may have been a premature bad decision but I want to make it "work" and share my stats/ experiences so far and as I progress the game. So far my build has been working smoothly and the current PotD difficulty has not been a challenge *maybe because the PotD in this game is easier than in PoE1. reasoning: No half measures, min maxed, pure range and make sure I send in the tank to grab aggro and never be with my glass cipher in the middle of the fight. 5 Con base + buffs from items is enough hp to get through, the low resolve can be somewhat mitigated eventually by +Will perk/talent and food. Dex and Pec (accuracy) are the most important stats now for single-class cipher as you want attack speed and accuracy to keep your focus supplied and building and to speed up casting time. In-game, I will look for items that increase speed/ accuracy to amplify this going forward as that is pretty much what these whole build relies on. Primary weapon of choice: Hunting Bow - consistent and fast, and even faster with the perk for rapid shots. On weaker mobs with rapid shots getting focus maxed (with DrainingWhip perk) takes about 2-3 at most 4 hits so really fast and usually, with the high Dex, the toon is already "ascended" just pew-pewing some weaker mobs from the back lines as my tank is running forward to engage them. At that point, I switch to spamming soul shock if I need aoe or Amplified Thrust on single target (low levels) damage. Whispers of treason on any targets that may be an asset and I want to turn. Later this will be replaced by Amp wave and other juicy powers. -Secondary weapons: optimal later will be to open with a double blunderbuss or pistol volley and immediately switch to the hunting bow, which is more consistent and reliable. If you stack speed/ go naked it should not hurt too bad to switch but overall I think the Hunting Bow is the most reliable weapon on a single-class build. Dual wield scepters are also there should you need to get away from piercing damage. Endgame: go into the ascended mode under Time-parasite and nuke the field with amplified waves. You'll have 30s in super-speed mode of probably doing insane damage. Notes: given the secondary talents you need to take for spell penetration and maybe the +will talent you don't have slots for cc/debuff cipher spells to this is more a pure striker. Take another toon without to do the cc/ debuffing work specifically built for that. Also the way the advanced party setup works with this build is I need "front-loaded immediate cc" from a different toon for the cipher to have time to get ascended and nuke the field - at least I expect that to be the case on the more challenging pulls in the game. Anyways so far building focus for accended (I am in the second major city, lvl5) has not been hard, was actually pretty easy. I'll be excited to see if that remains so going forward in the mid and high levels as the focus pool increases. 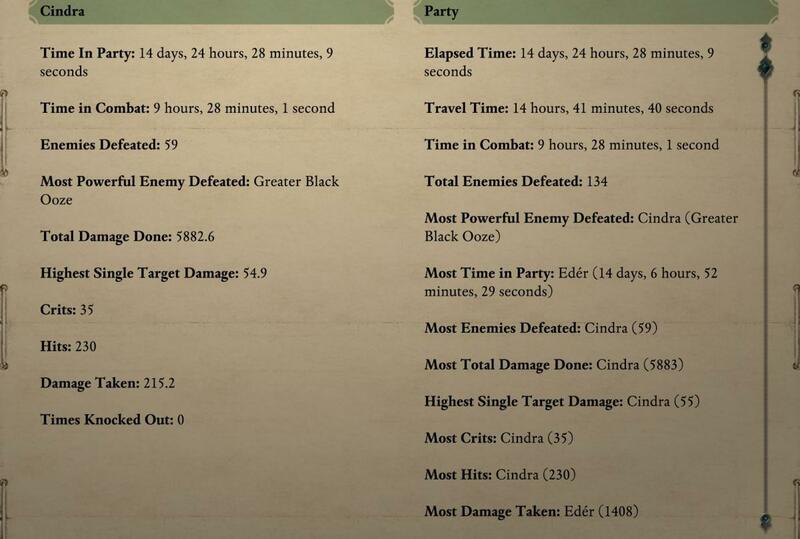 Cheers, please post your single class cipher experiences in PoE2 and suggestions! Thanks for sharing your impressions! You describe exactly the build i was thinking about. I would be very interested to hear how it goes later in the game. I imagine as soon as you get Reaping Knives it will be smooth sailing. 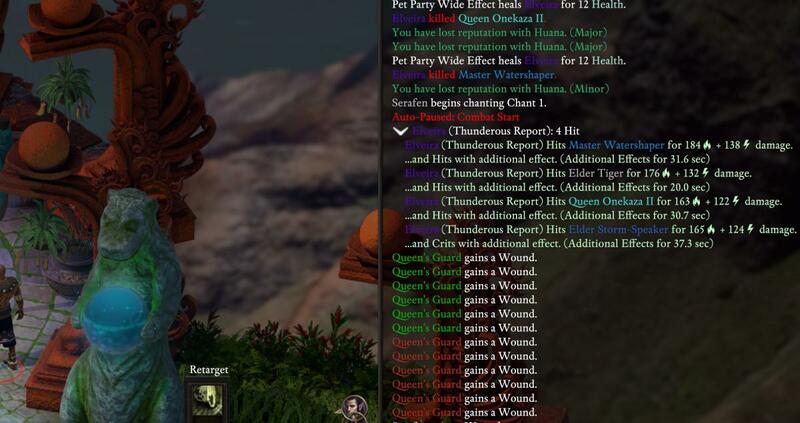 At least it felt almost OP in PoE 1 on path of the damned. 1.) part of me now strongly believes single class cipher ascendant is the "go-to" cc/debuff spec and not necessarily the best for dps (see point 2). if built right of course. the reason is you have extra focus at the start of combat but slightly nerfed soul whip power level. with draining whip + greater focus you can make a cipher that constantly ccs/ debuffs from the get go. also when you hit ascended you can pretty much do ridiculous things like mass debuff all the enemies and put stuff like put pain block on your tanks and melee barb/monk/rogue dds and make them into killing machines. you don't need super might but with dec/perc that is very potent. 2.) dd is still fine though there are many situations where I delay ascended for a more constant stream of abilities. oh and lastly getting a really good warbow (frostseeker on nakataka island) means that is kind of the go to weapon now and not hunting bow. I compared frostseeker to superior warbow and think I prefer frostseeker. I'm sorry this is a question rather than a helpful response, but how long does the Ascended state last? I saw some beta discussion it was 20+ secs, I saw a 'guide' video with the buff hovered over and it was 12,5 secs, and you mention 30s in your post. I saw the frost volley bow and through "I want to make a ranger Cipher." I've definitely thought about Ascended, so I'd like to know the details. I believe Ascendant got a buff to the time he remains Ascended in Beta. If the video you watched was during Beta it is no longer relevant. I am pretty sure it is 30 seconds now. I've tried a couple of runs in POTD with similar Ascendant build: one thing I've noticed is that low con means getting one-shotted by those pesty frontline-bypassing rogues and ranged enemies. I often had to resort to needing a priest to cast withdraw to drop aggro from unstealthable combats (ships, scripted interaction into combat zones, etc), or have the Ascendant wear Eder's starter armor. Ascendant shines in prolonged combat, where there are multiple enemies and the fight drudge out for more than the time it takes to build up the focus. I feel those fights are still fairly limited and fights that generally last long enough for the Ascendant to become ascended are usually 'boss' fights where a single tough enemy remains. I find my subsequent Cipher (no subclass) playthroughs to be smoother since I don't have to be stingy about wasting my foci. Edited by Kenji, 12 May 2018 - 05:16 PM. What kind of Soul Whip bonus do they get? It’s affected by your INT in beta. I think it's the normal Soul Whip bonus when they aren't Ascended, but another 20% damage when they are? I am unsure, but I think that is right. Thanks, though I'm not sure why I asked. Well, aside from curiosity. My current build (and pretty much the one I intend to finish the game with once the bug patches get rolled out) is ill suited for that play style I'm guessing. Well Frostseeker is a very good weapon it is basically a blunderbuss in the way it attacks with speed and range of a warbow because it is a warbow. Maxing focus is again no problem with it in 2-3 shots! And once you have it spam mind lance (currently the fast dps spell that shreds everything-will be replaced by amp wave etc later). If Frostseeker could be upgraded to legendary it would be amazing, currently only looks like it can only be upped to superior. Edited by 1TTFFSSE, 12 May 2018 - 07:51 PM. I guess I have to give it more of a go. I'm playing a SC Ascendant, max Per and Might. It seems to not raise my focus as much as my pistols, but I don't seem to crit a lot with it. That might be why. Edited by EndSignal, 13 May 2018 - 02:06 AM. Frostseeker can be upgraded to legendary. I just did. Apparently every unique item can be upgraded to legendary now? But only the next quality option shows one at a time. 1 - Soul Shock, Whispers of Treason* , Penetrating Visions - Soul shock is the bread and butter early game dd spell, but Whispers of Treason is the more useful spell in the long run - so choose accordingly as this is the first ability you take and can not be changed later. 2 - Mental Binding, Amplified Thrust*, Draining Whip, Two-handed Weapon style* - Mental Binding is set, so is draining whip. Amplified Thrust is nice, and lastly the dps boost to your choice of wielded weapons - in my case bows so I choose Tw0-handed style. 3 - Secret Horrors, Ectoplasmic Echo*, Hammering Thoughts - Secret horrors is the best debuff this class has imo and is a key to mass debuff fortitude before amp wave/ disintegrate - it takes advantage of a later perk to accuracy on will attacks which you take because it targets enemy will save. Echto Echo is still a very nice spell but I could see it swapped on certain builds for Fractured Volition. Hammering Thoughts you simply take as it makes your spell attacks better, to an overall good buff. 4 - Mind Lance*, Silent Scream, Pain Block - Only Mind lance is situational but it is still a very good fast to cast dd spell until you get the level 6 heavy hitters. Pain Block is too good a buff for your tank to pass up, and silent scream is very nice. 5 - Borrowed Instinct, Rapid Casting, Farcasting - the choice comes down to Farcasting vs Uncanny Luck vs Ringleader I guess for the third slot here. Borrowed Instinct is a must to buff yourself up before targeting a boss with an empowered disintegrate or something. As you see I did not take ringleader here but that is a great spell as well I just don't like the range on it. I prefer whispers honestly. 7 - Screaming Souls*, Accurate Empower, Potent Empower, Echoing Horror - On this level I prefer the passives, If I would take Screaming souls in a rogue heavy party I would give up Echoing Horror. 8- Defensive Mindweb*, Reaping Knives, Timeparasite, Great Soul - only mindweb is optional and only if you have another cipher in the party with it otherwise just take it. There is nothing in the game currently in PotD that requires it but otherwise is a great defensive ability nonetheless. Edited by 1TTFFSSE, 14 May 2018 - 10:31 AM. in 1.2 The unique Arquebus "The Red Hand" which fires two shots before reloading will be made available. It should be found in Ernezzo's Storeroom if the patch notes are correct. It is a very high dps weapon when it comes to "plain" auto-attacking with a unique attack type (double shot) - this makes it a perfect weapon for single class ranged gun cipher especially ascendant because the double shot gives an extra burst / frontloaded damage with extra penetration from arquebus. I was running it on a cipher right now with about 20 dex and with Maia's Robe (which provides gunnery perk), Acina's Trihorn and the Aegor's Swift Touch Gloves which provide another +5% action speed with weapons and the results add up. Broken down you get 2x Arquebus shots each dealing about 40-50+ damage every 4.6-4.7 seconds with this setup. And they are at high penetration 13-15 depending on if you have the marskman ring and if the weapon is still exceptional or you have upgraded it to legendary which you should. This will be the new meta for ranged cipher. The only downside is it is pure pierce damage so I would recommend having Aamiina's Legacy Bow in offhand if you run into pierce immune monsters. In fast hunting bow mode that particular bow is the best in the game and provides a mix of slash, crush and pierce damage. Both weapons are two-handed so they benefit from the two-handed style damage perk. -Kitchen Stove blunderbuss is still great because of Thunderous Report ability which of course fills your focus to max with it 1/encounter. Problem with Kitchen Stove is that once you use Thunderous Report 1/encounter the weapon becomes pretty inferior even with its fast reload speed to Red Hand or Aamiina's Legacy. Where did you get Aegor's? The real problem for this setup only int immune guys and guys with high fortitude (for dragons take helm that give you +10 to acc, for fampyr amulet + saber). Edited by mant2si, 29 June 2018 - 04:44 PM. Problem with palm shield is that when enemies move in on you u start b-slapping them instead of shooting.